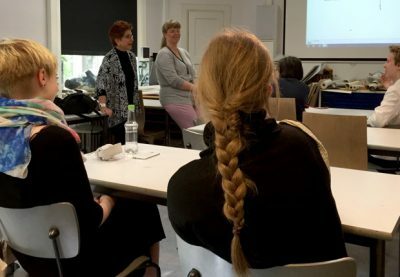 On Tuesday, Burko met with the chief of exhibitions at the Helsinki Art Museum, Pirkko Siitari, and Chief Curator at KIASMA, Marja Sakari. 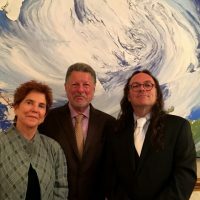 On Wednesday, Burko had a meeting with chief curator at Atheneum, Timo Huusko, and had lunch with Vesa Heikkinen, principal lecturer at the University of Haaga-Helia Applied Sciences. 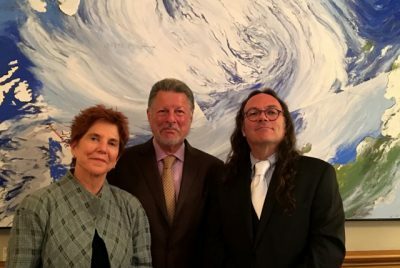 That evening, the artist and her work in the Art in Embassies exhibition were featured at a reception at the Residence of Ambassador Charles Adams and Mrs. Vera Risteski-Adams. 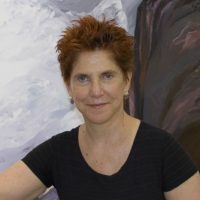 Burko had also arranged for meetings in addition to her official program, to facilitate site specific research such as the exploration of the glacial history of Finland, and photographing the Salpausselka ridges, which are remnants of the ice age and will most likely figure in future projects. 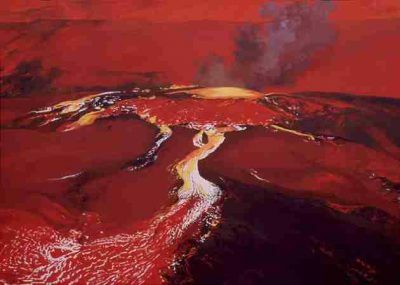 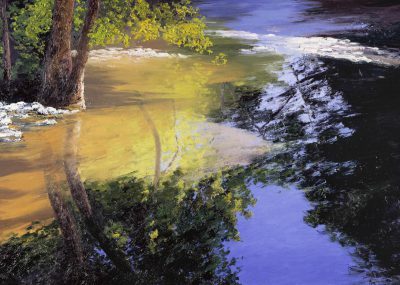 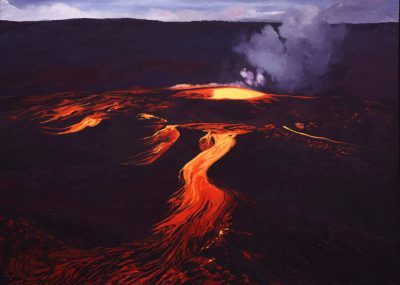 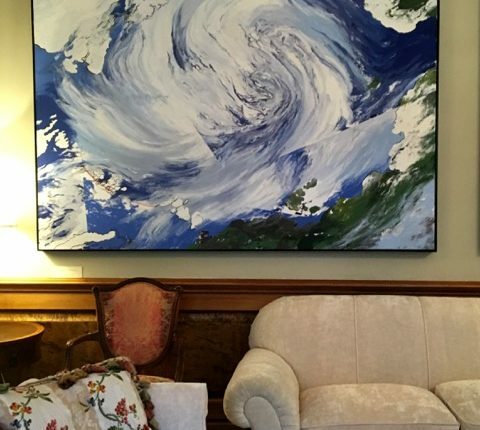 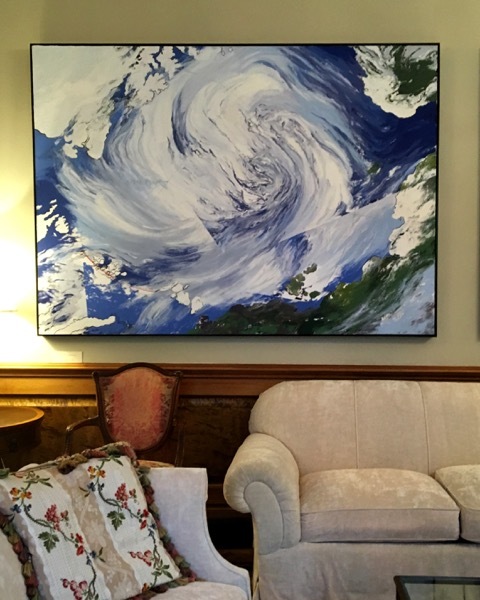 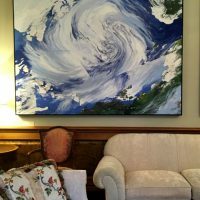 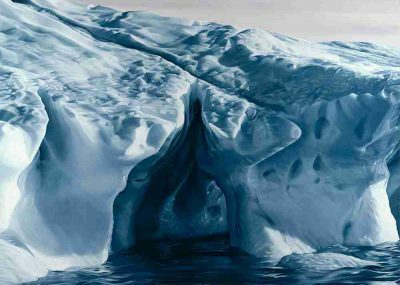 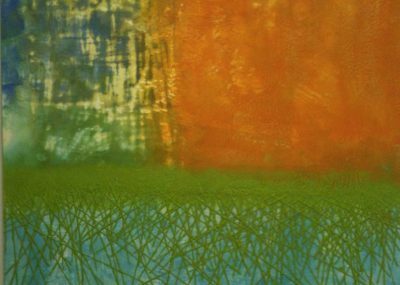 Painting by Diane Burko hangs at the Residence of Ambassador Charles Adams in Helsinki. 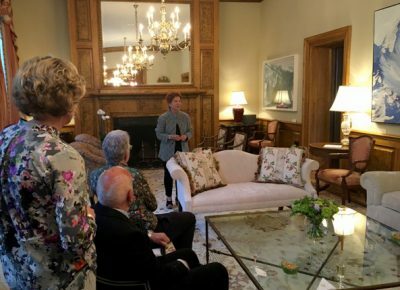 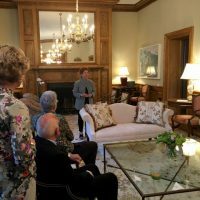 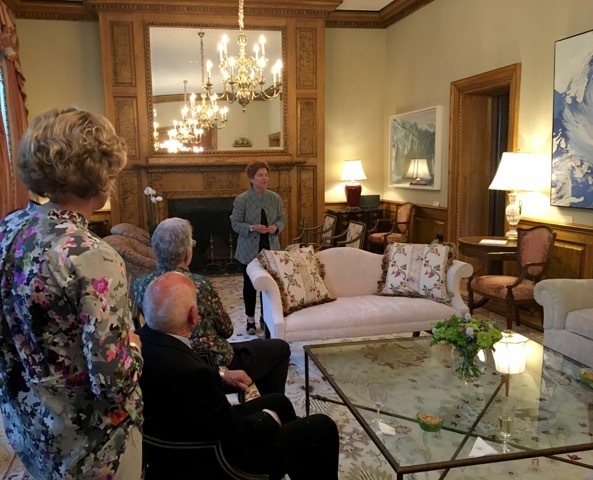 Diane Burko speaks at a reception at the Residence of the U.S. 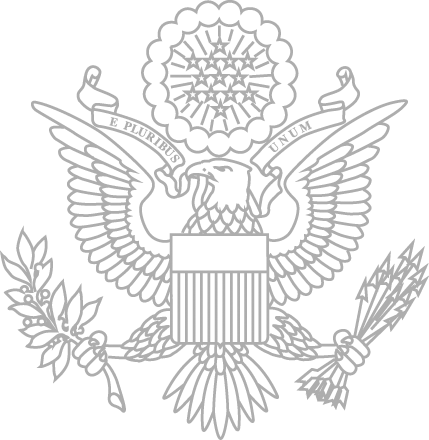 Ambassador to Finland. 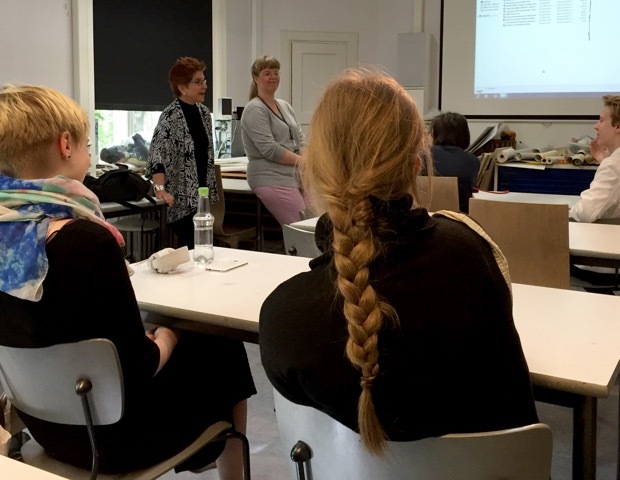 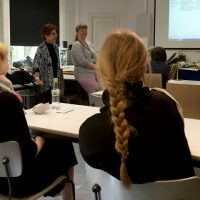 Artist Diane Burko meets and works with students from the Helsinki Visual Arts High School. 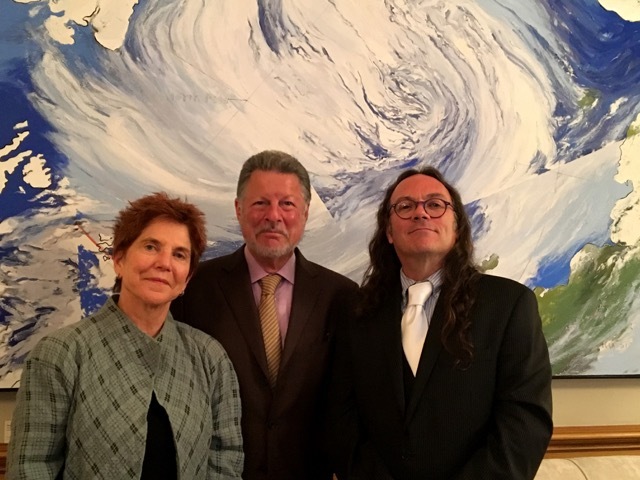 Diane Burko and Ambassador Charles Adams pose in front of her painting.